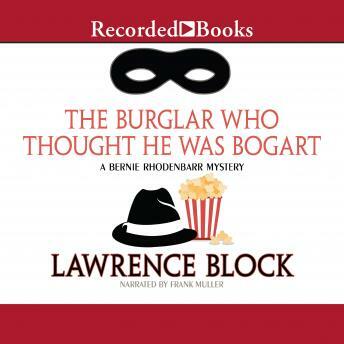 Edgar Award-winner Lawrence Block invites you into the criminally funny world of the most notorious star of mystery fiction: Bernie Rhodenbarr, bookseller by day and burglar by night. In this humorous mystery, Bernie's passion for Humphrey Bogart movies leads him to a beautiful damsel in distress, a dangerous international conspiracy, and more than a few incriminating bodies. Sparkling with wit and energy, The Burglar Who Thought He Was Bogart is guaranteed to have you laughing out loud.